As part of the International Year of Statistics, this month we celebrate the American statistician, consultant, author and a founding father of quality management, Dr. W. Edwards Deming. If you’ve taken a course in quality management, continuous improvement or industrial statistics, you’ve no doubt been introduced to Deming and his management philosophy, and are aware of the impact he’s had on the fields of statistics, quality and productivity. I was first introduced to Deming in the early 1990s while working for a manufacturing company. The company was implementing Total Quality Management (TQM), a structured approach to quality improvement striving to provide products and services that satisfy customer needs. TQM, I learned, is largely based on the teachings and works of Deming. 7. Institute modern methods of supervision. 10. Eliminate numerical goals for the workforce. 11. Eliminate work standards and numerical quotas. 12. Remove barriers that hinder the hourly worker. 14. Create a situation in top management that will push every day on the above points. To drive an understanding of the System of Profound Knowledge and the 14 Points, Deming would often use the Red Bead Experiment and the Funnel Experiment. In the red bead experiment, workers produce white (good) beads and sometimes red (defective) beads in a manufacturing process (a bead box). Inspectors check for defects while management sets quality goals and provides incentives for improvement. In the funnel experiment, balls are dropped into a funnel onto a target below. The distance from the ball to the target is measured and different “adjustment strategies” are used to bring the process to target. Both experiments are used today in some form to teach concepts of variation, to illustrate that strategies for improvement should be based on the types of variation present and to demonstrate that the system -- rather than individuals within the system -- determines performance. These experiments also underscore one of Deming’s most fundamental tenets, namely, that management is responsible for the system. By the way, the demoRedBead and demoFunnelExperiment scripts in the Sample Data Directory (under the Help menu in JMP) can be used to simulate results of these experiments in JMP. They can be found in the Teaching Resources section under Teaching Demonstrations. William Edwards Deming was born in Sioux City, Iowa on Oct. 14, 1900. He died on Dec. 20, 1993 in Washington, DC. Deming was married twice and had three daughters. Deming received a Bachelor of Science in electrical engineering from the University of Wyoming in 1921, an Master of Science from the University of Colorado in 1925, and a PhD from Yale in 1928. Both his master's and PhD were in math and physics. Deming was highly decorated, receiving, among other prizes, the Shewhart Medal, the Taylor Key Award, the Samuel S. Wilks Memorial Award, Japan’s Order of the Sacred Treasure, and the National Medal of Technology. He was nominated for the Nobel Prize, and elected to the Automotive Hall of Fame and the Science and Technology Hall of Fame. • While studying at Yale, Deming held an internship at Bell Telephone Laboratories and was inspired by the work of Walter A. Shewhart, the originator of control charts and the field of statistical process control. • After graduating from Yale, Deming worked for the USDA and then joined the US Census, doing groundbreaking work in statistical sampling. • In the early 1940s, Deming supported the war effort by training nearly 2,000 men and women in statistical process control and the Shewhart PDSA (Plan, Do, Study, Act) Cycle, which is also known as the Deming Cycle. • Deming went to Japan to help study agricultural production, and he was later invited to train Japanese engineers and scientists in the application of statistics in quality improvement. • Deming is largely credited with helping to rebuild the Japanese economy. Nearly devastated by the war, by 1980 it was an economic and industrial powerhouse. • In 1951, the Deming Prize was established. This prize is awarded to individuals or groups in Japan who have made outstanding contributions in TQM or statistical methods. In 2012, the Japan Quality Medal was renamed the Deming Grand Prize. • Beyond his work in Japan, Deming worked with business leaders and governments across the globe in countries such as India, Greece, Mexico, Argentina, Turkey and the UK. • Deming’s work went largely without notice in the United States until the 1980 documentary “If Japan Can, Why Can’t We?” This documentary ignited interest in Deming’s philosophy and led to a quality revolution in the US. In the early 1980s, Ford Motor Company led the movement to espouse Deming’s teachings, leading to increased sales and profitability. • From 1946-1993, Deming taught at New York University Graduate School of Business Administration and was a distinguished professor at Columbia University from 1985 -1993. Prior to his death in 1993, the W. Edwards Deming Institute was founded. This organization carries on his legacy, bringing Dr. Deming’s teachings and philosophies to a new generation of organizations and business leaders. Note: The first Monday of each month in 2013, the International Year of Statistics, the JMP Blog is honoring one of 12 statisticians. Check out the full series. Deming's 14 points were the basis for Larry English's work with Total Information Quality Management, and as well a contributor to Richard Wang's work at MIT (MIT Information Quality Program). If we treat the creation of information as a 'manufacturing' process with data as the raw material, we can apply any quality methodology to that manufacturing process. 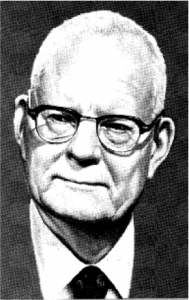 Thank you for an interesting article about W. E. Deming. See the description of Deming's experiments in Russian with video materials and explanations.